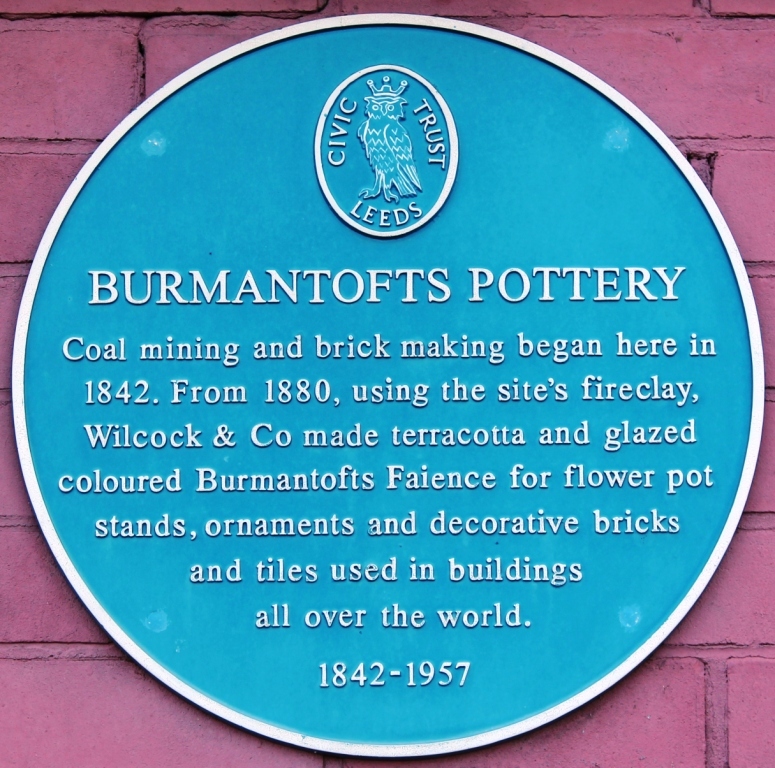 The hey-day of Burmantofts tiles and pottery production in Leeds was between 1880 and 1904 and it was also at this time that the name ‘Burmantofts’ became known as a brand rather than being a geographical location in Leeds. 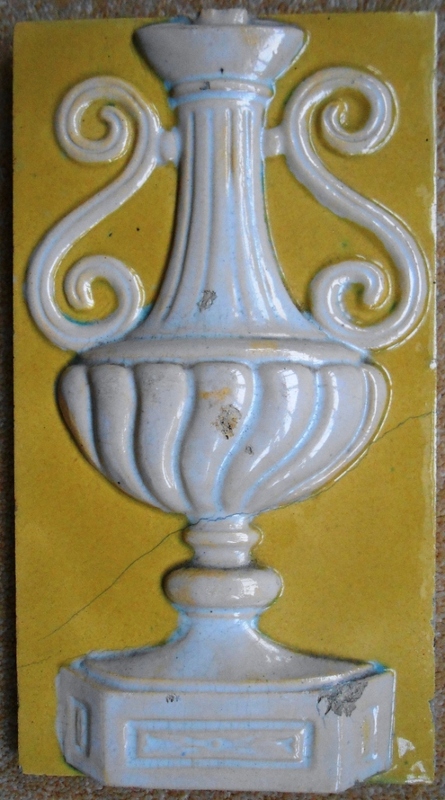 This can be seen in an article by Cosmo Monkhouse in The Magazine of Art of 1885, entitled ‘Burmantofts Faience’ in which he discussed at some length the firm’s manufacture of decorative tiles, architectural faience and art pottery. 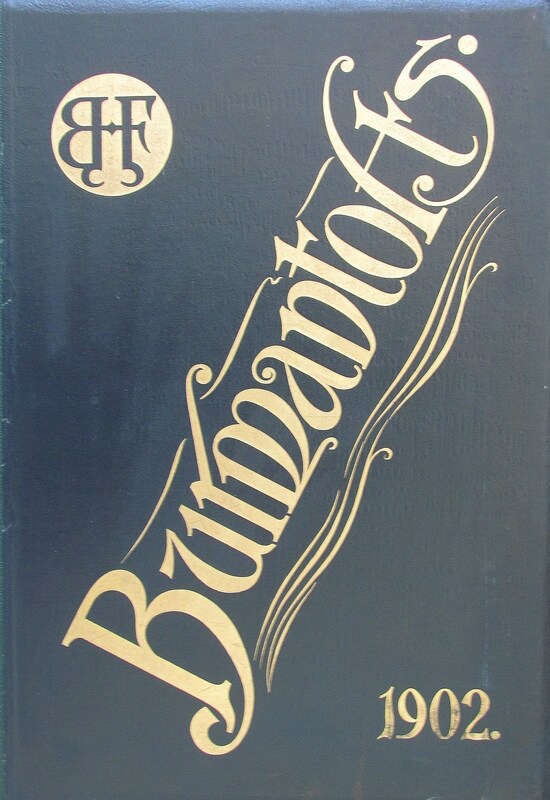 The brand name ‘Burmantofts’ was consolidated in 1888 when the firm became known as Burmantofts Co. Ltd., but in 1889 they amalgamated with five local fireclay companies in West Yorkshire to form the Leeds Fireclay Co Ltd. Along with Burmantofts, the constituent firms were Wortley Fireclay Company, Joseph Cliff & Sons, William Ingram & Sons, Joseph Brooke & Son and Edward Brooke & Son. 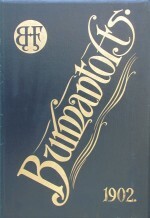 However Burmantofts kept its own identity within this newly amalgamated business structure. Burmantofts’ tiles fall into two main categories; dust-pressed and press-moulded tiles. 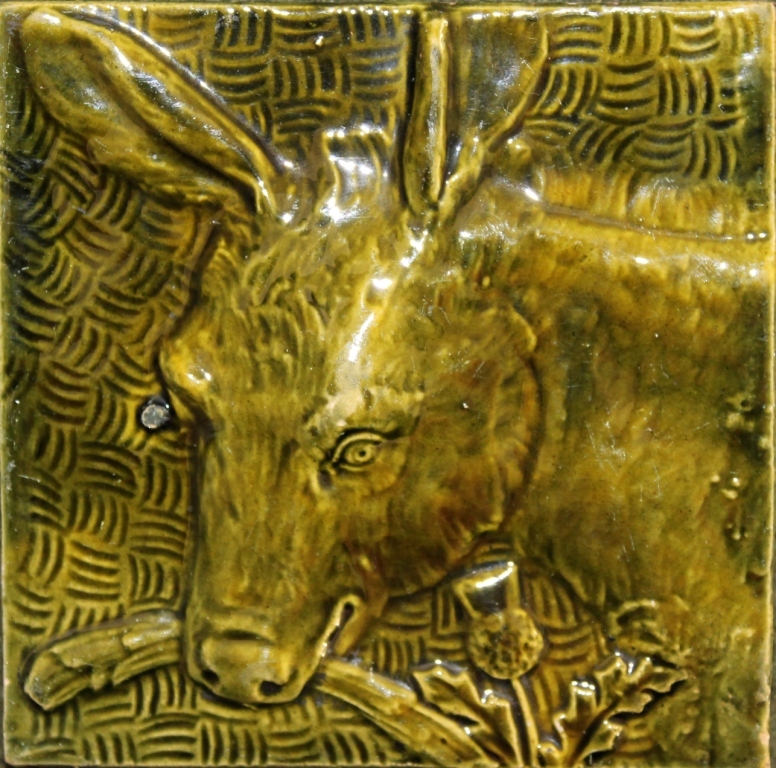 The dust-pressed tiles were part of the bulk output for architectural faience commissions where large areas of walls had to be covered with glazed tiles. 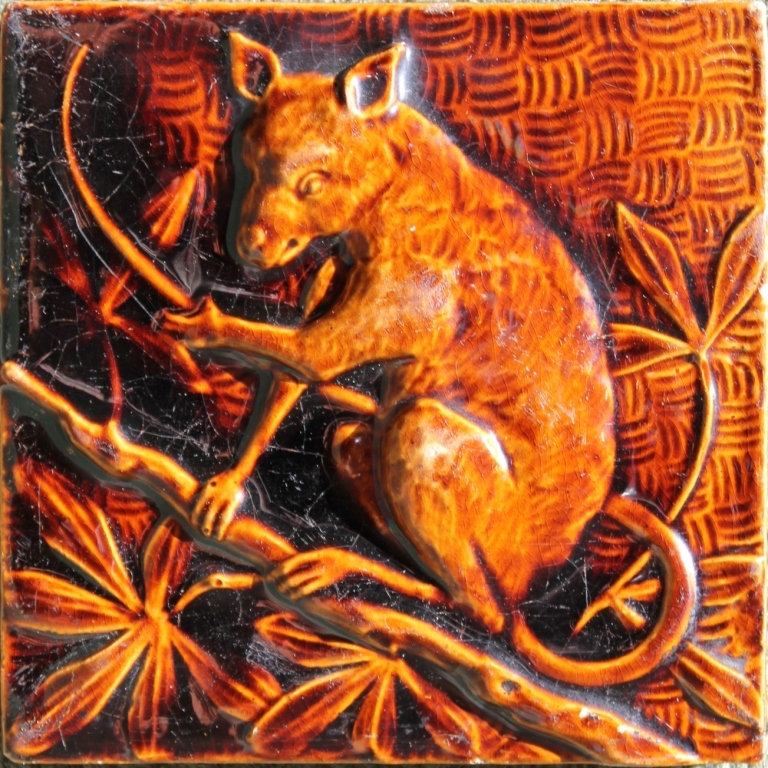 The tiles were made from dust clay in tile presses, usually in a six-inch format, with moulded relief decorations and the majority were covered with a single translucent glaze. 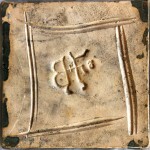 These tiles often have a characteristic ‘propeller’ mark indented in the clay on the back. The propeller shaped imprint was slightly undercut and this would help the tile to adhere more strongly to the cement on the wall. 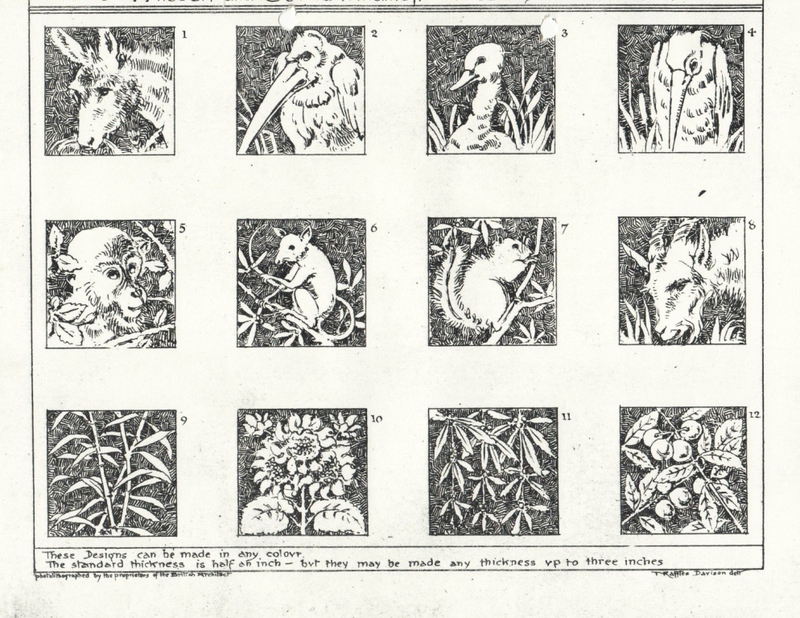 Burmantofts so called ‘art tiles’ are different from the mass-produced dust-pressed tiles. 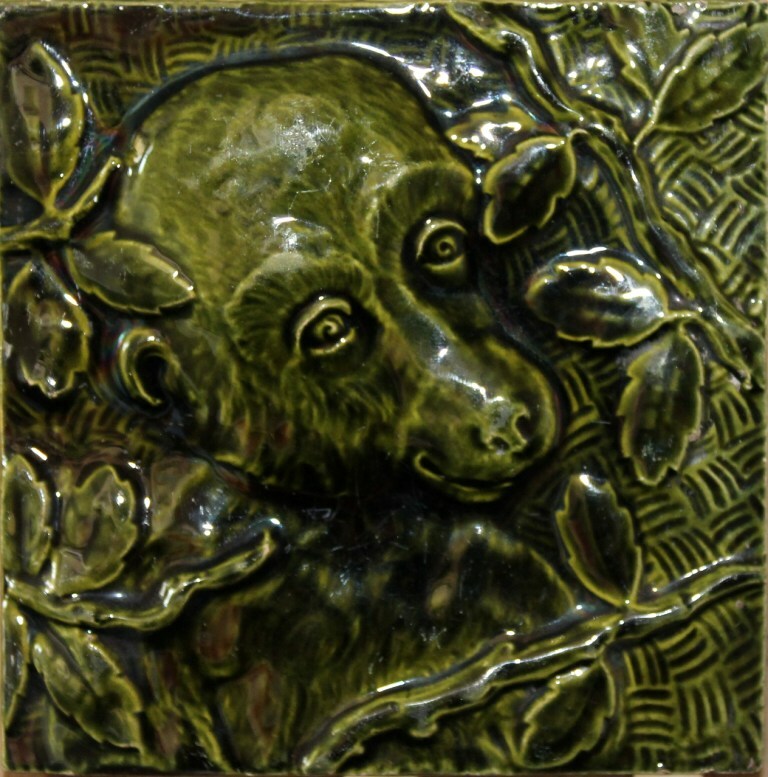 The art tiles would be moulded by hand, probably using plaster moulds with decorative patterns in ‘intaglio’ at the bottom, creating designs with raised decorations in low relief. 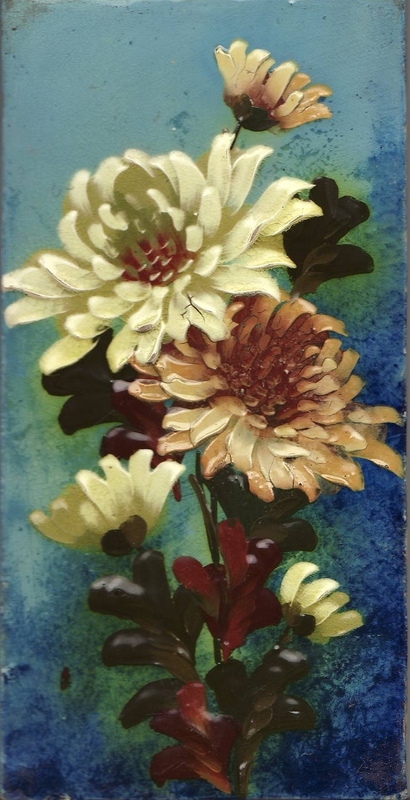 Like the dust-pressed tiles, they were coated with a single translucent glaze creating nuanced effects of light and dark. 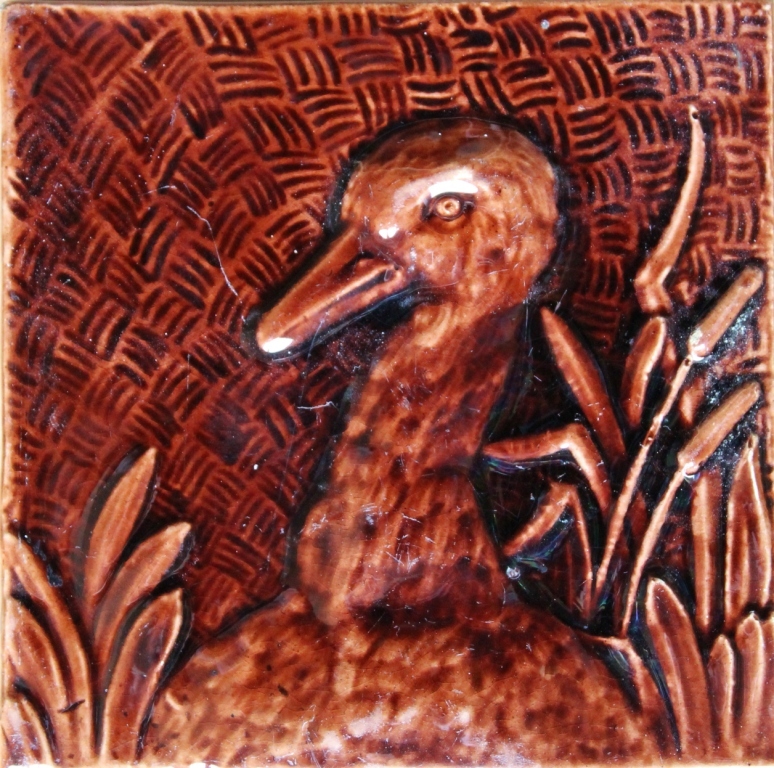 A variation on this method was making tiles with both raised areas in relief and indented areas below the surface. 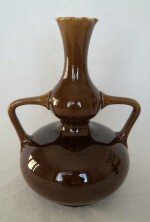 The single translucent glaze created dark areas where it pooled in the hollows and lighter areas where it had run off the raised sections of the design during the firing leaving only a very thin coating of glaze. 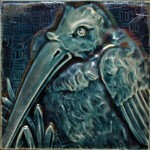 This final effect of subtle areas of light and dark is known as ‘émaux ombrants’ a French term meaning ‘shadow enamels’. A few Burmantofts tiles executed in relief show raised white lines that help to delineate the design but also help to contain the glaze within the boundaries of the raised lines and therefore could be decorated with variety of different coloured glazes. A more labour intensive method of decorating tiles was the ‘barbotine’ process of painting with coloured slips. ‘Barbotine’ is a French name for ‘ceramic slip’ and can be found in Burmantofts’ catalogues of the time where phrases like ‘Tiles & Plaques Painted in Barbotine’ were used to indicate to customers how their products had been decorated. Painting with coloured slips produced beautiful tiles which appealed to the aesthetic notions of well-to-do customers, and the technique was also much used to decorate Burmantofts art pottery. 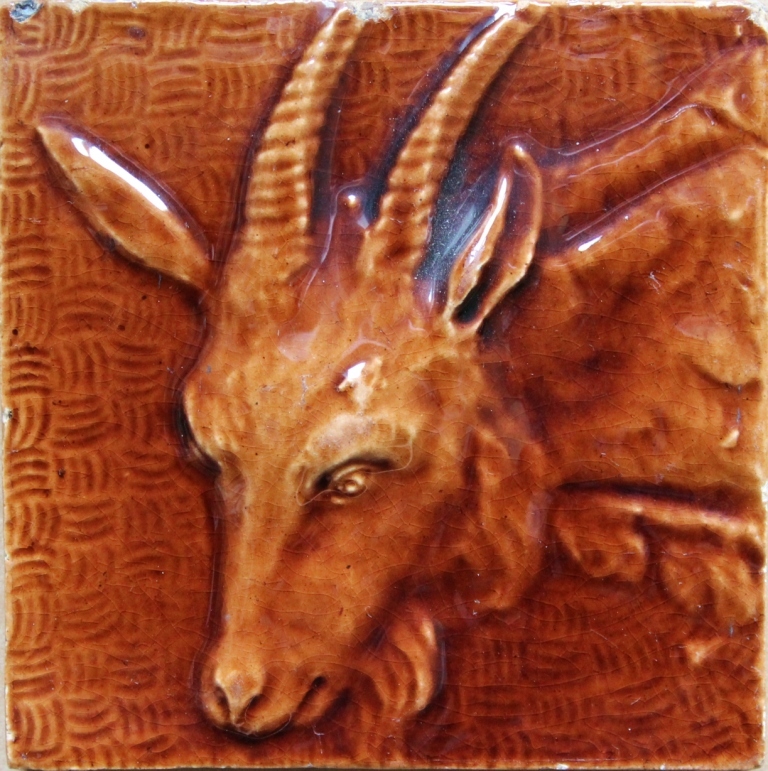 Most tiles have markings on the back that identify them as having been produced at the Burmantofts factory in Leeds. 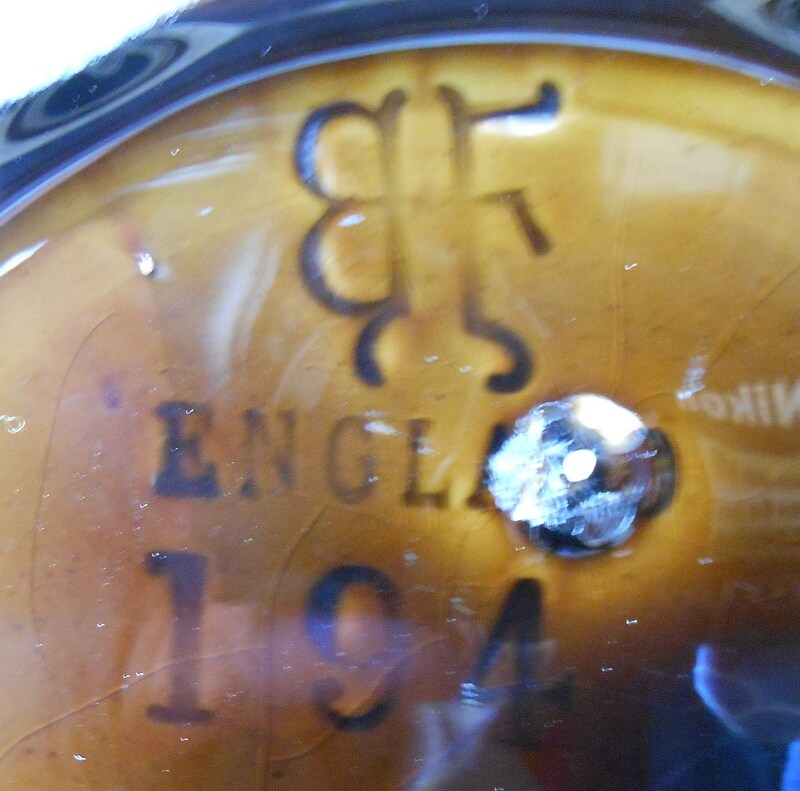 The marks are usually impressed in the clay and can have the full name BURMANTOFTS FAIENCE or a BF monogram. 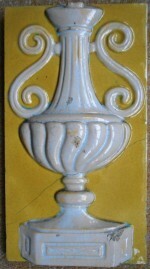 A rare impressed mark is one consisting of a circle in which there are the words BURMANTOFTS FAIENCE – WILCOCK & CO LEEDS. 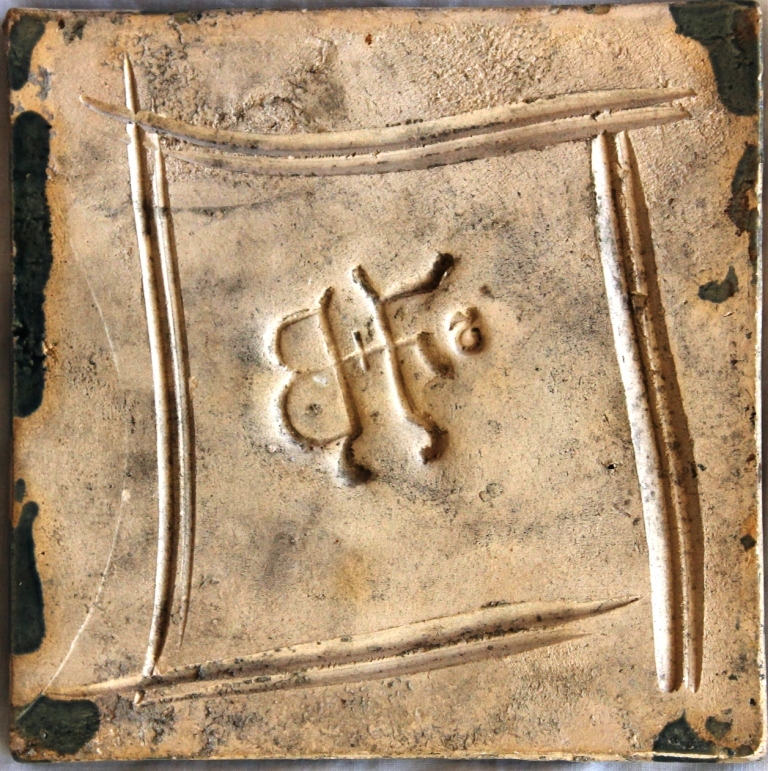 Many tile backs also have score or comb marks made in the soft clay before firing which are presumably meant to be ‘keys’ to help the tiles stick more firmly to the cement or plaster. 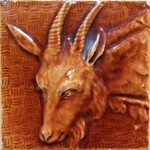 Burmantofts tiles come in many different sizes and can range from a modest 4 inches square to a massive 60×24 inches. 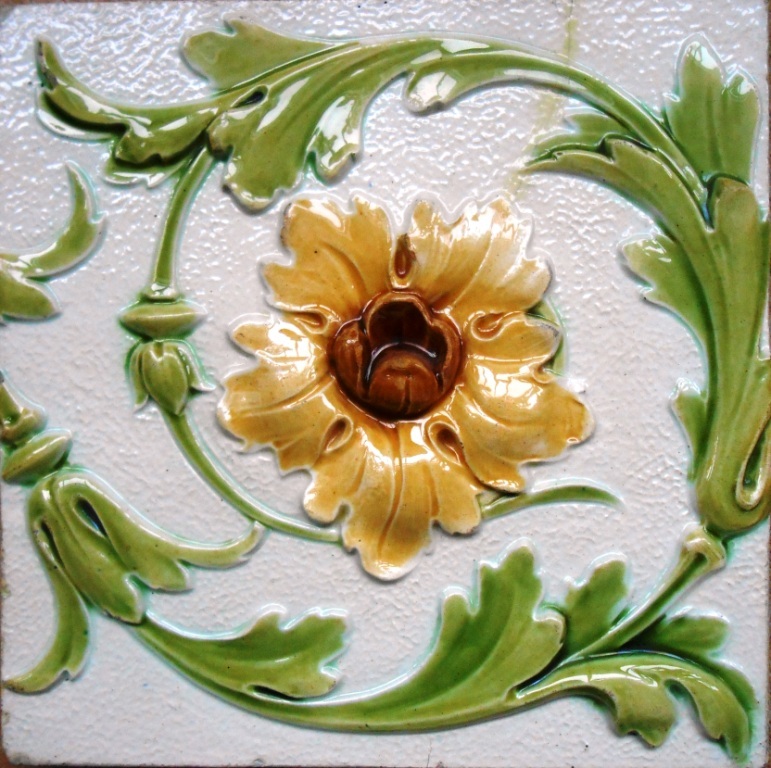 The production of larger tiles shows the high quality of the fireclay from which they were produced and the careful drying and firing processes to which they were subjected to minimise any warping which can so easily affect bigger tiles.